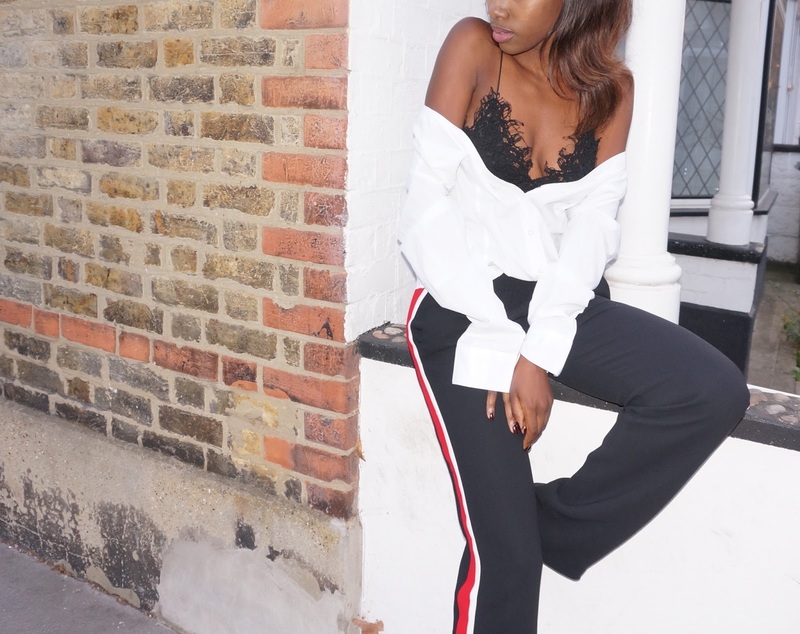 The sports luxe look has fast become a popular fashion trend over the past year and is currently seen as a favourite with a number of fashionistas including myself. The trend can be seen as a crossover of two style looks, the coming together of sports wear and smart-casual attire. This trend breaks some of the old school fashion rules. 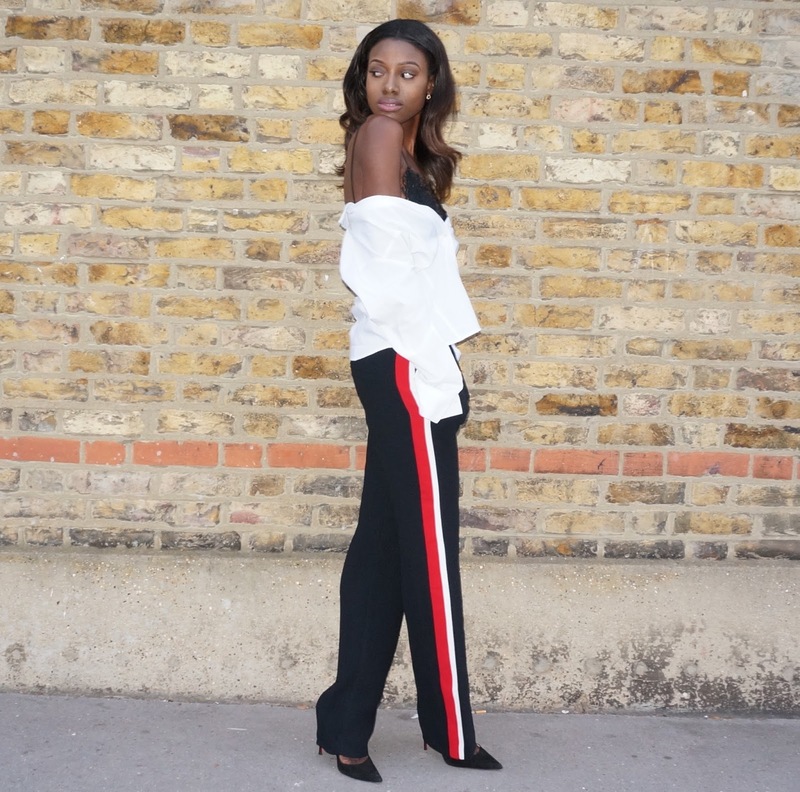 For instance the sports luxe look makes it acceptable to wear your joggers with a pair of heels rather than limiting your footwear to just a pair of trainers. I must admit that growing up, I wasn't all that fond of trainers and would often favour wearing a pair of leather shoes with my joggers. Given that it wasn't the norm to do so back then I would at times receive disapproving looks from onlookers and in one particular instance I remember being taunted and laughed at for not wearing trainers with my joggers. It is definitely a testament to the evolution of fashion and how much more acceptable it is to break the rules these days. 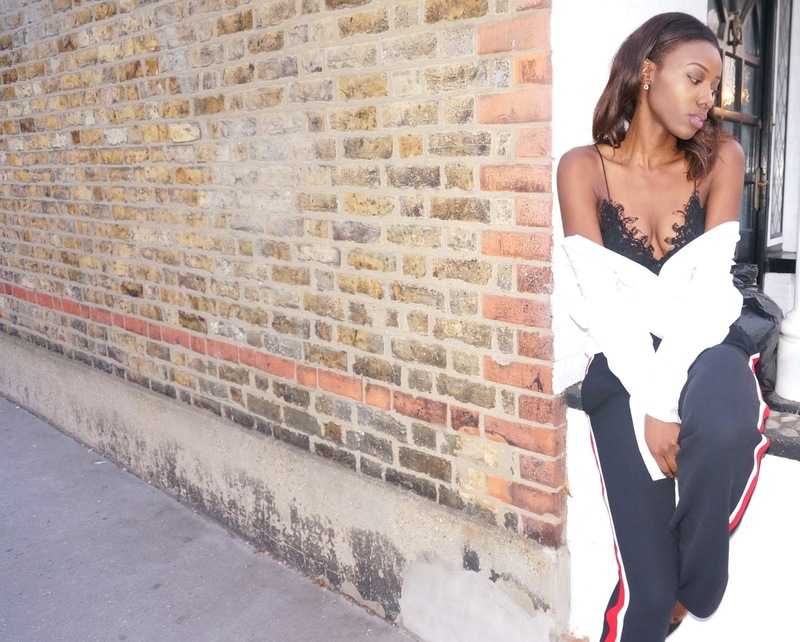 To achieve the sports luxe look, all you really need is one piece of garment that can be considered sports wear and pair it with some casual/smart wear pieces and you will have yourself a sports luxe look. It's really that simple and easy to create. It is a look that I opt for on those days when I want to ditch the skinny jeans but still maintain my femininity.